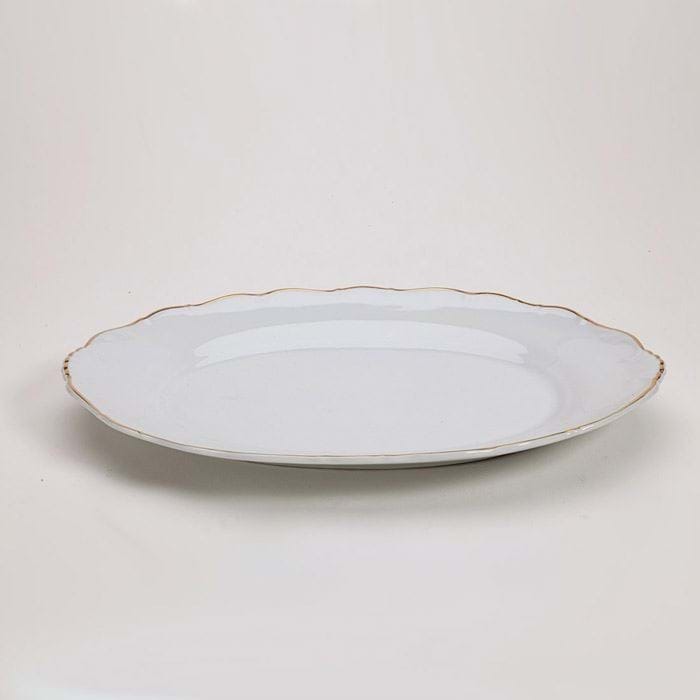 The Avignon Gold Porcelain Dinnerware Collection features a scalloped edge embellished with beautiful lines accentuated by a gold rim to add some glitz to your customers table. The gold rim makes every dinner feel like an event and every event feel special. These dishes are the perfect option for a party rental company looking to add some glamour to their wedding and special event portfolio. Avignon Gold has a wide variety of pieces available from a full range of dinner plates to platters, bowls, cups and saucers. Mix and match Avignon Gold, with Snow Drop for a truly unique table setting. Avignon Gold is made of fine European porcelain, made in Bohemia.